Modar fled Syria in September, looking for sanctuary in Europe from the bombs and the bloodshed of the nearly 6 year civil war. 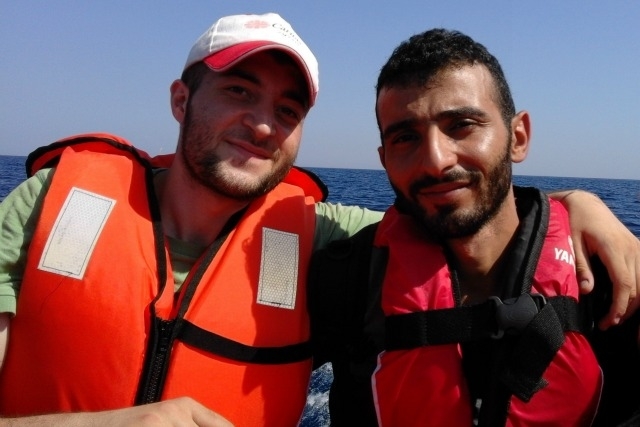 With his brother and sister, all in their early 20s, he crossed the Mediterranean by dinghy and travelled through Europe until they reached a hopeful new start in Holland. So far, so familiar. 850,000 people made that trip in 2015, mostly from Syria. Yet Modar’s story has a special poignancy for the Caritas family, because he had worked for Caritas Syria as a counsellor since February, himself helping people fleeing from violence. Going to work under the shelling was dangerous, but he carried on “because I loved what I was doing”. Modar had already had to give up college because of the fighting. His family’s second home in Homs, where they spent three months during the summer, had been destroyed by shelling. Life in Damascus was also becoming very dangerous.“We knew a lot of people who had been killed or injured,” he said. At least 20 percent of 130 Caritas Syria staff (not counting volunteers) have made the same decision and left Syria since 1 August. On 1 September, the two brothers and their sister said goodbye to their parents. Fast forward a few days to a wood near Izmir on the eastern Mediterranean coast of Turkey, they’d paid smugglers and were waiting to cross the sea to Greece. “We stayed in that wood for three days, sleeping on the muddy floor” he said. They had a backpack each with water, extra clothes, some energy food like dates, chocolate and their papers. The first day, the 11 September, they spent looking for a phone to call their parents to tell them that they were safe. They spent a “freezing night out in the open” followed by a night in a hotel and then an 8 hour ferry ride to Athens. They immediately headed north through Greece, Macedonia and Serbia by coach, train and foot. They arrived on the Serbian border with Hungary on the morning of 15 September. They were too late. The border had closed. “We slept two nights on the border. It was truly awful. You couldn’t sleep. It was very cold. The only help was from some local volunteers giving out blankets. People were screaming and shouting. It was very scary,” she said. “By that point we felt finished”. They heard about a bus going to Croatia, so they got on it. “On the Croatian border, there were so many refugees and migrants and so few people helping them. Still, the locals were so kind. They gave us food and blankets. We met a person from Caritas who was helping out”. 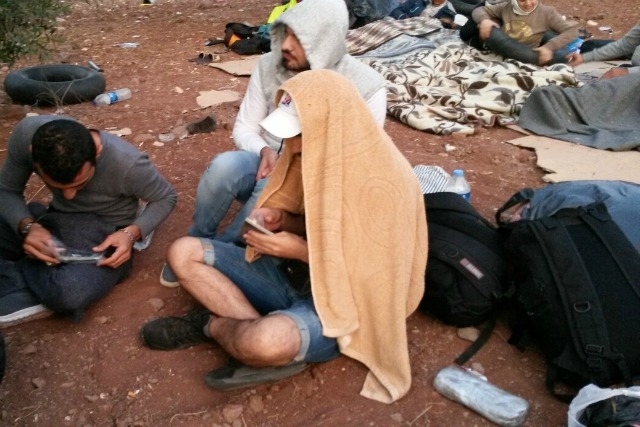 The journey was taking its toll on them: “We hadn’t slept for three days. It was really hard. It’s painful to remember.” They caught a bus to the Croatian capital and then another to what they thought was Slovenia. Instead it took them to Hungary. They passed through Austria and Germany, staying in transit camps along the way. After 21 days on the road, they reached Holland. “We were sent to a camp of some 3000 people in the woods near Nijmegen,” said Tamador. “We have been here for 4 months. It’s very bad. There is no privacy. It’s cold. The rules are very strict”. For Modar, it’s been difficult to go from helping people to being helped himself. Apart from fingerprinting, no procedures for their registration have begun to date. The two brothers and their sister have conflicted emotions about leaving Syria. “Happy to be here, not happy to be in a tent. Happy to be safe, but not happy that my country isn’t safe,” said Tamador.